The (unfortunate) news came down today from the Malawian judge handling Madonna’s adoption request for a young girl named Chifundo James (which translates to Mercy in English) who is only 4 years old. Ultimately the decision was chalked up to being due to the residency requirement and the fact that the judge felt the child was being “well taken care of” in the orphanage – this according to Zione Ntaba who is the spokesperson for the Malawi Justice Department. Madonna, 50, filed for the adoption following the suggestion from many of her family’s Malawian friends who felt that David Banda would do well to have a sibling from the same place, combined with her own desire to help further. Madonna faced fierce criticism throughout the adoption process in round one when David, who was adopted in 2006, first joined the family as Lourdes (12) and Rocco’s (8) new brother. David, at only 13 months, had been placed into an orphanage by his father after the infant’s mother had died. The same issues were at play back then as well, mostly regarding the fact that the country requires permanent residency of a future adoptive parent for 18 – 24 months. Madonna and her lawyer, Alan Chinula have had to handle cross-fire from those that accuse her of using her fame, power and money to bend the laws of the country but Chinula believes there’s no reason to lose sleep this time around either, according to an NBC report. Some public opinion stabs harder suggesting foreign adoption proves ignorance to children in need on home soil for a good home to stomach-turning disgusting allegations of “buying” children as accessories. As for the argument that there are ‘plenty’ of children on this side of the Atlantic to adopt, there are many – this is true. But the number’s pale in comparison to the dozens of countries that have hundreds of thousands in need – arguably in much worse conditions that are significantly more life threatening. This is especially the case when considering a country like Malawi where the average life expectancy is 47 in a country where the entire population is 13.9 million, according to UNICEF. Not to mention the fact that a million of those people are living with HIV/AIDS and are aware of it, not withstanding the segment of the population that is unaware of it based on information from the United States Agency for International Development’s papers on Malawi. Some more startling numbers – 91,000 of those with HIV/AIDS are children and more then 500,000 children have been orphaned because of HIV/AIDS. There was a media circus surrounding the adoption of David and it’s happening all over again. Those that argue Madonna’s fame helped her swoop down and pluck up third-world children are obviously not seeing the other side of the coin and how incredibly difficult it must make it. Adoption is a very rightfully deeply scrutinized process, but add on the international microscope over a celebrity and its that much worse. Essentially, this adoption (and presumably any others similar to it) is being stopped because of a residency requirement. Something very few third world countries have as part of their adoption laws – because its an act that should be encouraged not made more difficult. 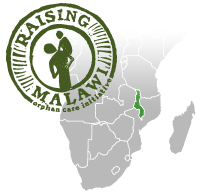 Yes, the correct investigative measures must be taken to ensure permanent safety in placement – but moving to Malawi for up to 2 years makes any adoption exceptionally difficult. It’s not like this is just a ‘hobby’ to her, she’s also invested an abundance of time and money in her effort to spotlight the country and its needs in her documentary I Am Because We Are, which was produced and promoted through the Raising Malawi organization as well as shown on select screens in North America. When this case is considered especially with the fact that Madonna has established an international agency (Raising Malawai) to aggressively work for the protection, health, education and welfare of children in a country obviously chosen based on need – along with the fact that she’s invested personal finances in building educational institutions and infrastructure, the denial becomes even more difficult to accept so easily. And this is not a point made in light of “she did this so she deserves that,” it’s a perfect example of the fact that Madonna is putting her money where her mouth is. When millionaires, celebrity or not, are publically ‘owned’ there is always criticism of chartable contributions – mainly due to a lack thereof. No less, the public opinion within the country, of its people is one of support for the adoption. Capital FM which broadcasts in 5 cities throughout Malawi, including the capital, Lilongwe, said 99% of the callers to the station on Thursday wanted the adoption approved. Frankly, it’s all a bit foolish. Whatever way you cut it, if there is a family – any family – that is financially and morally stable to raise an orphaned child … and that family has the desire to invest time, love (and yes, money) into raising that child with every facet of a good life (as a private citizen or at varying levels of ‘fame’) then that adoption should be fully considered to the very finest point before just saying no. The point is, famous or not and rich and powerful or not, Madonna’s desire to adopt has no right to be so heavily and openly criticized. In any event, whether or not the timing was strategic, YouTube’s Screening Room feature section is now broadcasting the entire documentary on demand from the website and the 1h29min clip is included in this entry.